Today’s (November 5) the day! 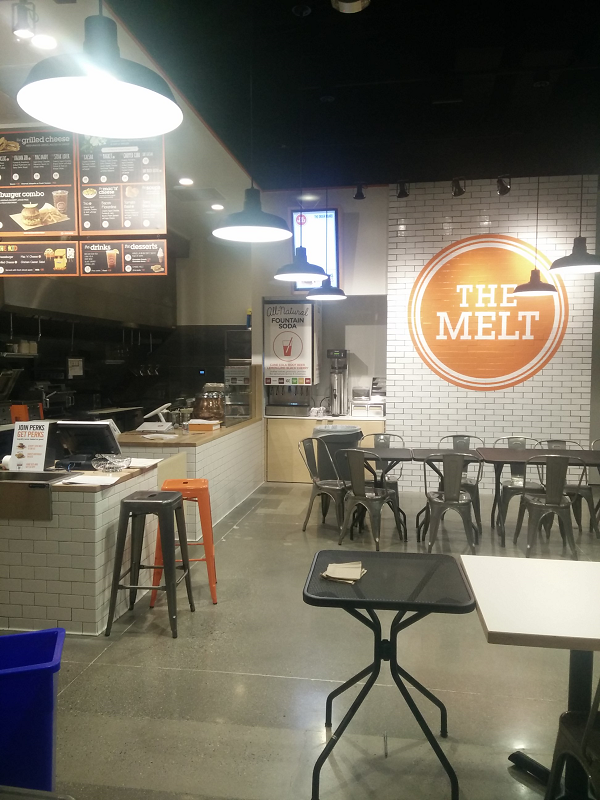 The Melt’s 17th location opens today at Victoria Gardens in Rancho Cucamonga. It’s the chain’s first Inland Empire location. We’ve been eagerly anticipating its opening since we discovered it back in June. The restaurant’s menu selections — burgers, grilled cheese sandwiches, chicken sandwiches, salads and more — contain no artificial flavors, artificial colors, artificial sweeteners, artificial preservatives, artificial flavors or hydrogenated fats. The chain features the same banned ingredient list (everything from acesulfame-K to vanillin) as Whole Foods Markets. Click here to see the list. The restaurant — 7870 Monet Ave. — is open 10 a.m. to 10 p.m. Sunday through Thursday and 10 a.m. to 11 p.m. Friday and Saturday. This entry was posted in Rancho Cucamonga and tagged openings by John Plessel. Bookmark the permalink.